Paris, France — Parents who give their teens alcohol, even to teach them how to drink responsibly, are more likely to do harm than good, according to a six-year study in Australia, published Thursday. 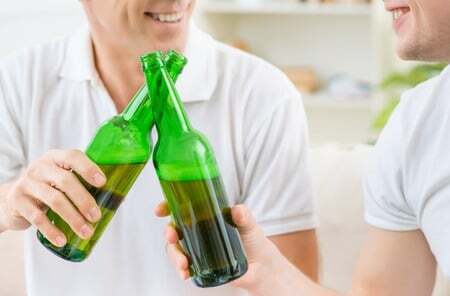 “Parents should avoid supplying alcohol to their teenagers if they wish to reduce the risk of alcohol-related harms,” he said in a statement. At the start — when the teenagers were 13 years old on average — only 15 percent accessed alcohol from their parents. By the end, when they were nearly 18, some 57 percent did so. The proportion of kids who said they had zero access — from parents or other sources — dropped over the same six-year period from four-fifths to one-fifth. France and other southern European countries, for example, are famously lax in restricting access to alcohol for teens, but were all deemed “least risky” in a 2010 World Health Organization (WHO) comparative assessment of alcohol-related health problems. “The findings only tell us whether alcohol was supplied by parents,” noted James Nicholls, director of research and policy development at Alcohol Research UK.